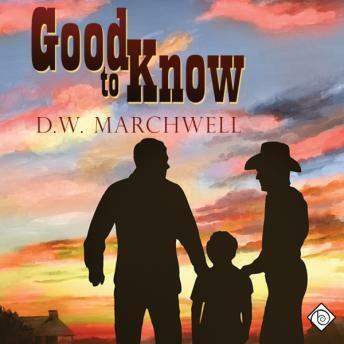 Listen to "Good to Know" on your iOS and Android device. Jerry McKenzie is a reclusive and antisocial artist, quite content to ride his horses and work in his studio, keeping to himself. It's not any kind of life for a child, and when Jerry finds out he's been named his orphaned nephew's guardian, he panics. He doesn't know what to do with a child and isn't sure he can give William the affection and the love the boy so desperately needs. Truly awful - good premise, poor writing. Was far too short - conflict scenes were rushed and resolved too quickly. Plot seems absurd given the length . Great narration is about the only thing this title has going for it!